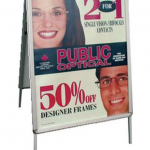 Are you looking to create a cohesive and eye-catching branding experience with custom outdoor signs? 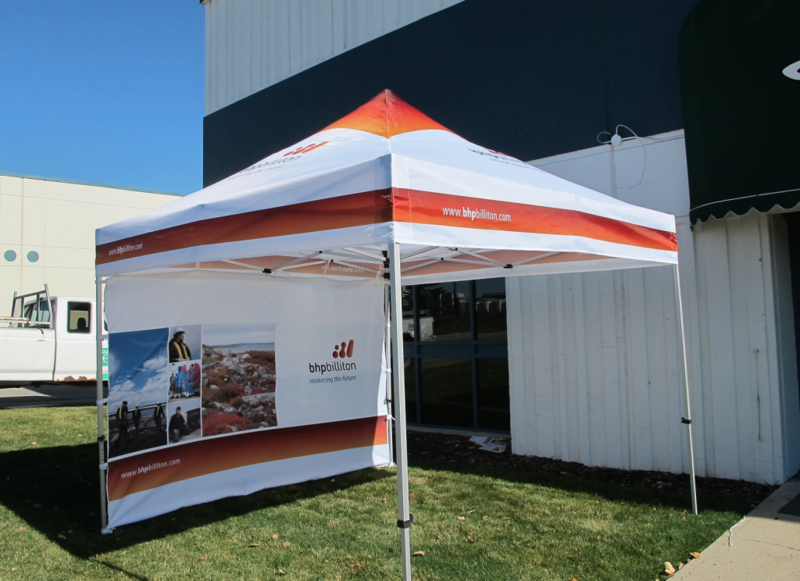 Shows off your brand’s designs outdoors with one of our custom flags, promotional tents or sandwich boards today! 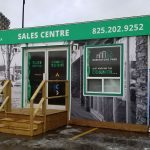 CI Display has been serving businesses in Edmonton, and across Canada for 15+ years and guarantees high quality, professional grade display solutions. Clearly and boldly communicate your brand messaging with a powerful business sign display outdoors. 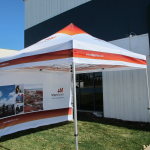 We have created a convenient process for outdoor sig production that will ensure that all of your promotional and marketing needs are met and that you enjoy a high quality, long-lasting product. 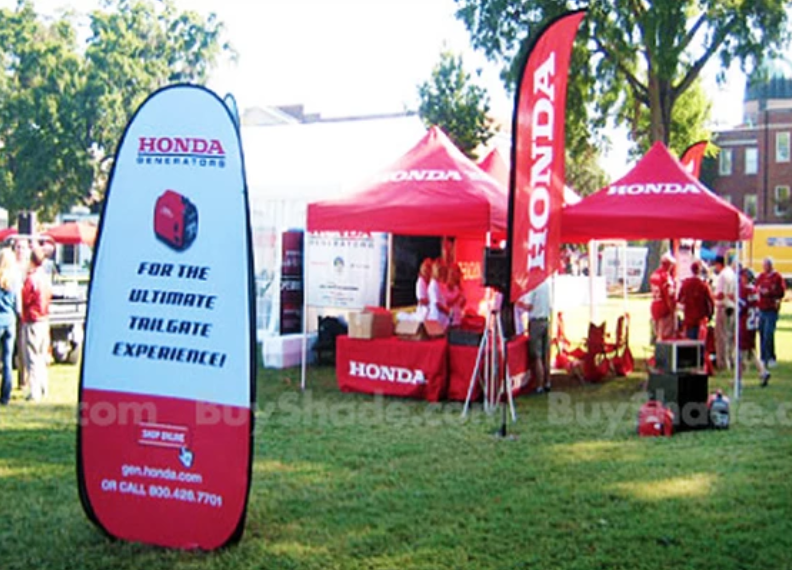 We work with you to find a customized display solution that fits your unique budget – whether that means a full custom promotional tent design, banner flags or simply an effective, attractive sandwich board. 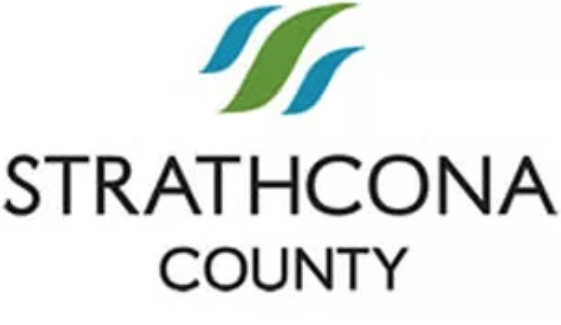 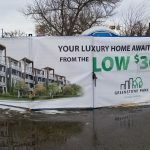 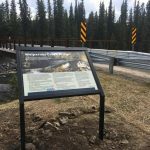 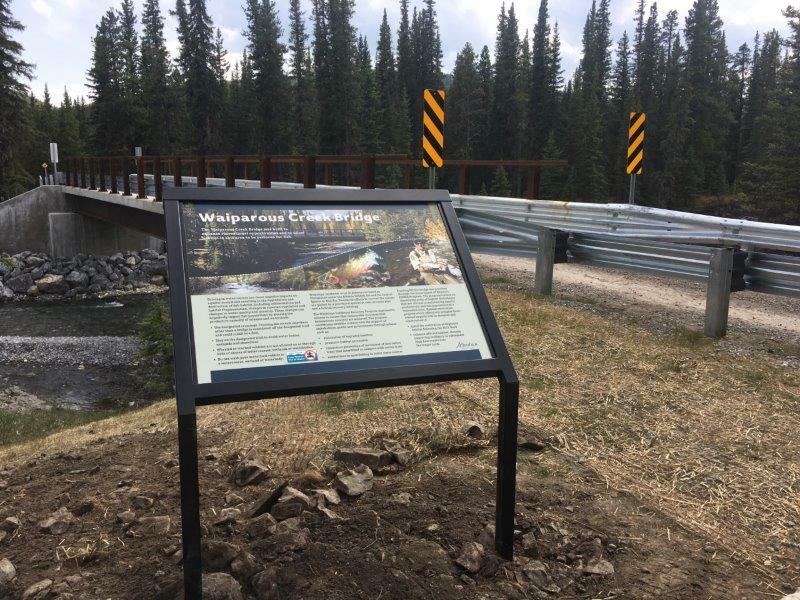 Once your outdoor signage design is complete, you will have a chance to review the proofs and provide feedback on any changes you would like to see. 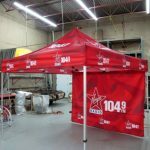 Your promotional pieces are produced using a dye-sublimation printing process, also referred to as dye-sub, which is the industry’s gold standard. 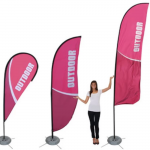 Dye-sub printing creates a premium product that will not curl, kink or tear and that will be UV, water and wrinkle-resistant so that the promotional pieces your business invests in will remain beautiful for years to come. 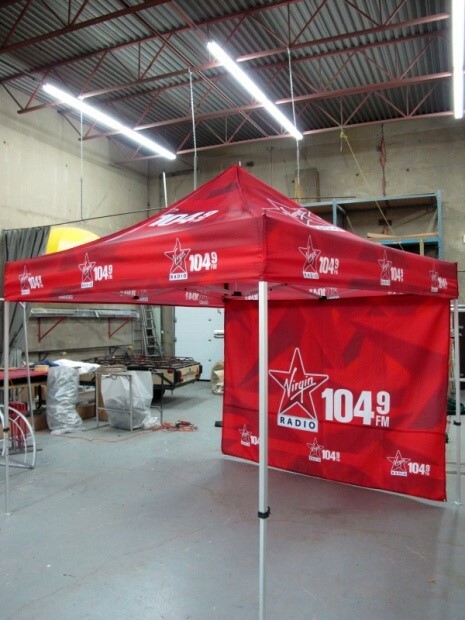 Your project is complete and you can now enjoy the promotional benefits of having your brand seen by thousands of potential clients with each and every drive-by! 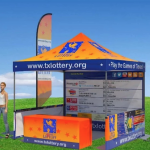 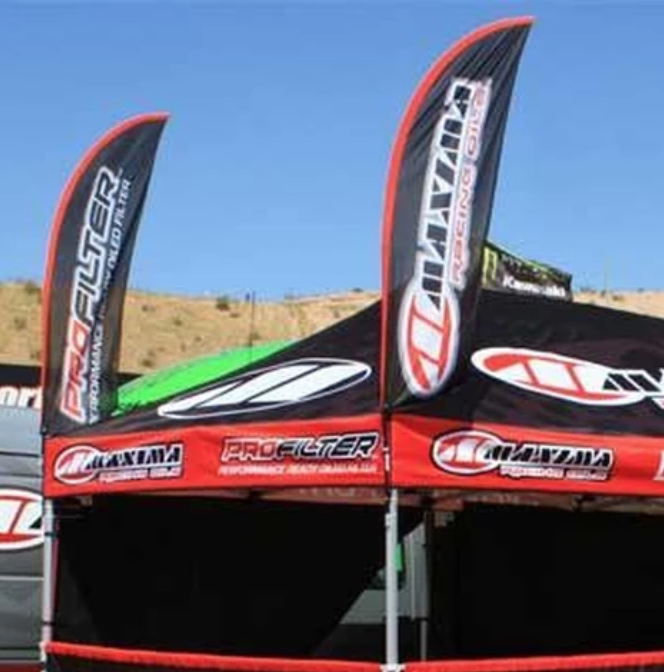 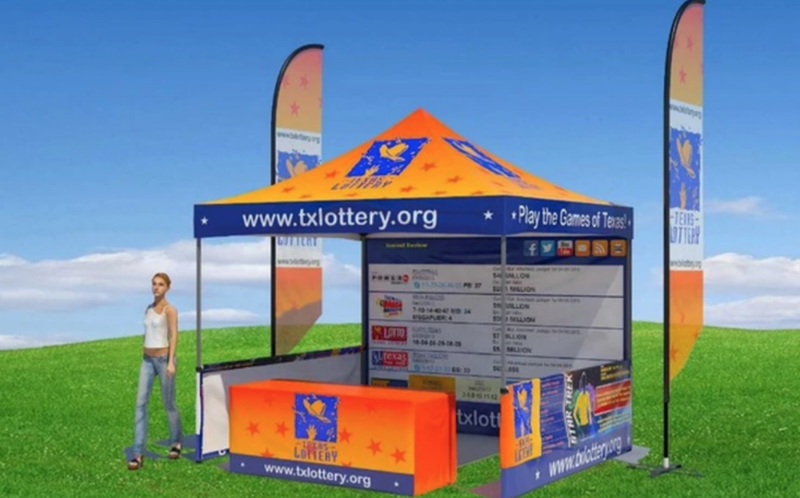 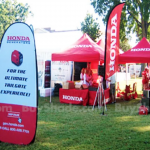 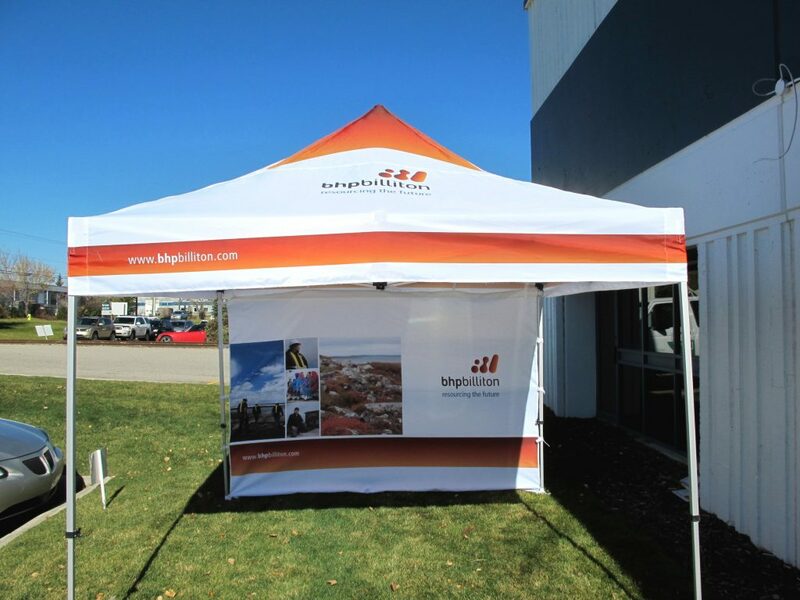 Whether you call it a marketing tent, canopy, or pop up tent, the bottom line is, having a custom, branded promotional tent for your brand allows you communicate a professional, polished look to potential customers for a very reasonable one-time investment. 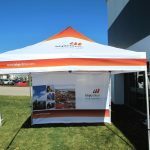 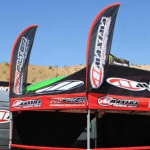 CI Display proudly offers an extensive range of canopy tent designs, including inflatable promotional tents, large corporate event tents, and 10 x 10 tents. 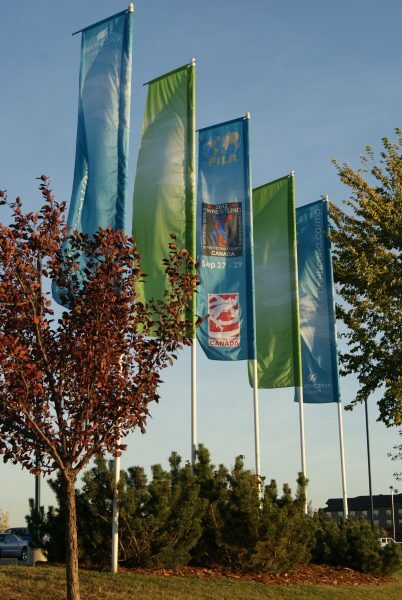 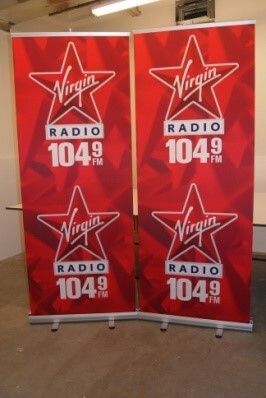 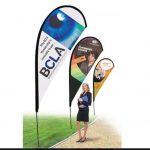 CI Display provides a very wide variety of affordable and attractive flag banners. 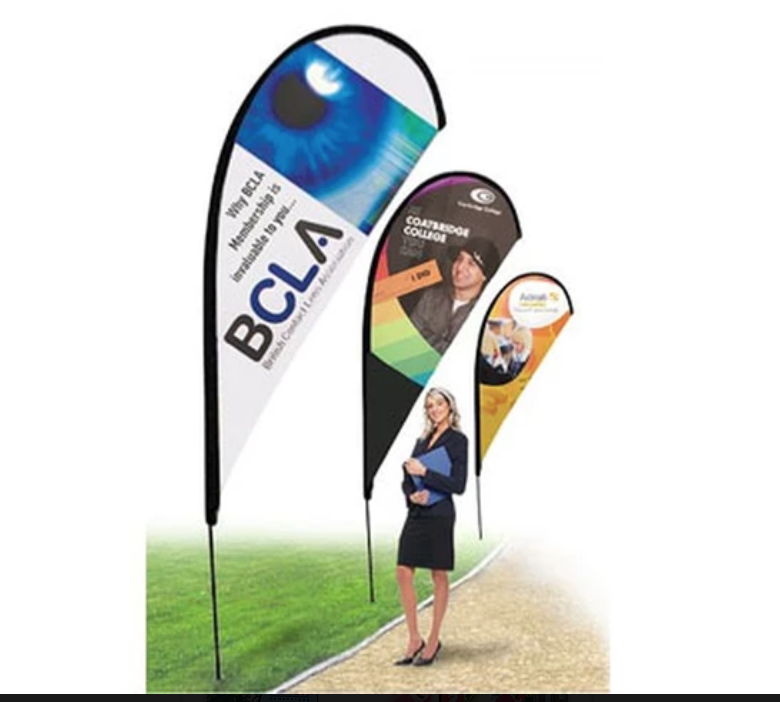 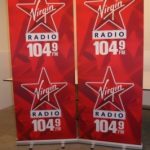 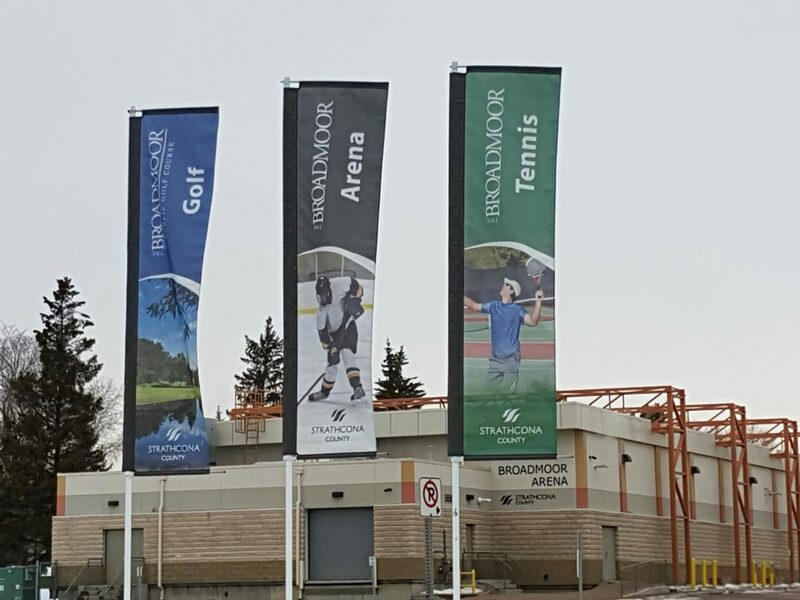 Our banner flags come in a wide range of shapes and sizes, providing a customized designed sure to meet your brand’s advertising needs. 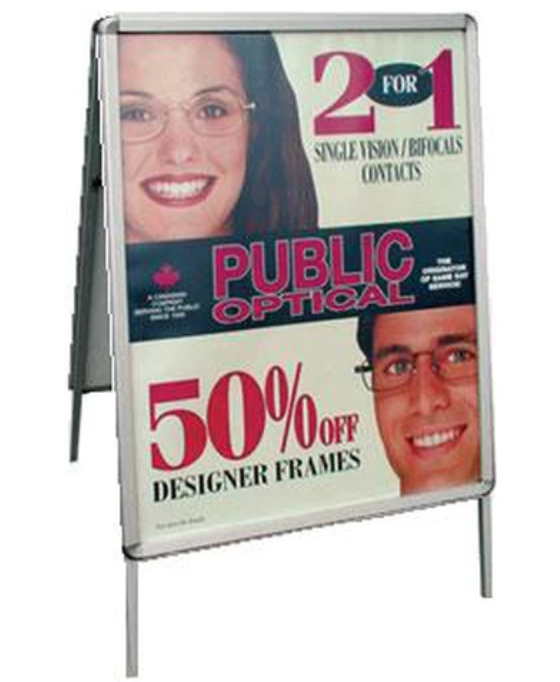 Sandwich boards, or A-Frame Signs, are a proven and affordable option for temporary or dynamic messaging and advertising, event signage and directional signs. 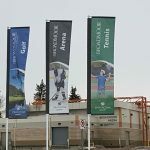 We would love to connect with you to learn more about your outdoor signage needs and how we can customize an effective solution for you today. 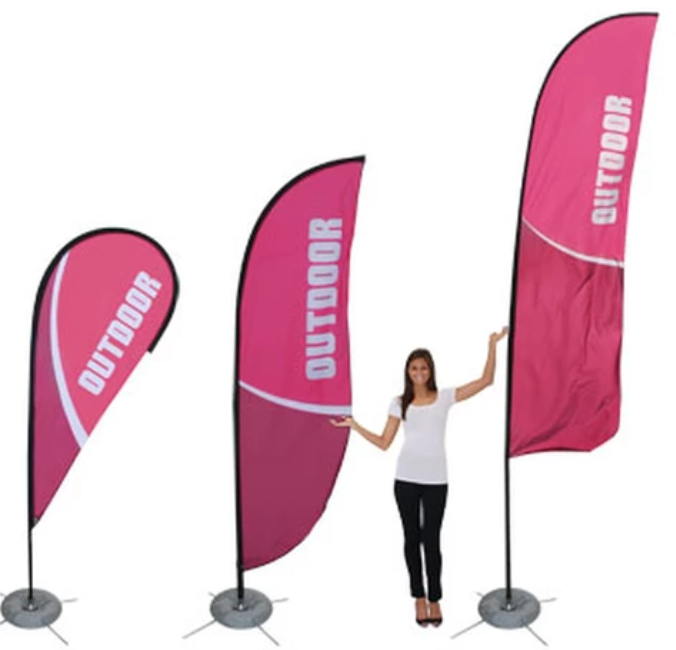  Get in touch to request a quote and get your next promotional project started now!